Discussion in 'NBA' started by AJ_II, Oct 21, 2008. Any NBA fans out there on DRC? I realize the league isn't nearly as popular as it was in the '80's with Magic and Bird and later in the '90's with Michael...but hey, I (still) love this game! I'm a big-time Rockets fan myself, so I'm anxious to see how the Ron Artest experiment goes this season. Adding Ron Artest to your team is the kind of experiment that will either cure cancer (or an NBA championship for the sake of this metaphor), or it'll completely blow up the laboratory. In other words, anything can and probably will happen. Anyway, the season gets underway in exactly a week (the 28th) as TNT has a double-header of Cleveland @ Boston followed by Portland @ LA Lakers. Also, maybe the moderators could create an NBA sub-forum like the NFL and MLB have? Looking forward to watching Portland this season. We bought the $100 extortion... er, I mean season pass from DishTV so that we can actually the games. Fark you extortionist DishTV bastards!!! 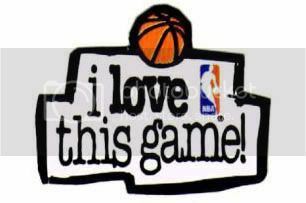 I'm not as big a fan as I used to be, but I still love the NBA. I also used to be a lot more into the NBA. The Jailblazers of the 90's killed it for me. I couldn't even watch the Blazers anymore and pretty much just stopped watching completely. What a disappointment that franchise turned into. Hopefully better days are ahead for your Blazers. I used to enjoy watching the Drexler / Porter / Duckworth era Trailblazers. Their local fan support was incredible back then. Looking forward to watching Portland this season. Portland should be an exciting team to watch this season with all that young talent they have. But, I'm not completely sold on Greg Oden becoming this dominant force that everyone expects him to be. I wasn't all that impressed with him at Ohio State. But he'll definitely make the Blazers a playoff contender in the West (if he can stay healthy). Hornets should only improve this season, they're a legit championship contender in the West. It's scary to think how good Chris Paul will be when it's all said and done. That was only his 3rd season, and we're already putting him up there with guys like Stockton and Cousy. Plus, adding James Posey to that roster should improve their bench, one of their weaknesses last season. I used to enjoy watching the Drexler / Porter / Duckworth era Trailblazers. Pistons....ehhh, I think their peak is in the rear-view mirror. We'll see if a new coach gets them back to the Finals, but I think that core group of Hamilton, Billups, Prince, and Wallace has done just about all they can. I wouldn't be surprised if one or two of those guys gets traded during the season. Hey MM, what do you think of the NBA getting its own sub-forum? Do you think it will be popular? Why don't you put it to a vote (poll)? I would like the members of DRC to help in the decision. Yeah, a poll sounds good, I might set one up later. Thanks, MM. 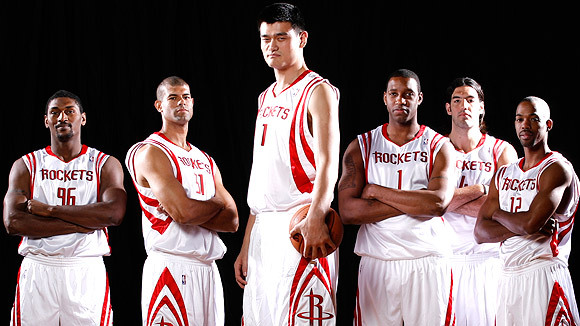 Going back to my original post with the Rockets...boy, this looks like an intimidating roster. I'm very excited to get this season underway. Who knows, maybe McGrady will finally make it out of the first round this season. I just hope they can stay healthy, and in the case of Artest, out of the stands. I'm a big Rockets fan, I use to live there back in the '94 & '95 Clutch City days. I'm still Rockets fan and and I agree it will be interesting with Ron Artest on the team. But my other team and I been a fan of them for a few years now are the Phoenix Suns. So were still looking for our championship year! p.s. vote yes for the NBA sub-forum. I'm a big Rockets fan, I use to live there back in the '94 & '95 Clutch City days. I don't even thou, Clutch City was Choke City for a while. But I hope it can be Clutch City, Champ City really soon!